The San Angelo Stock Show and Rodeo Association hosts its annual Stock Show and Rodeo at the Foster Communications Coliseum on the San Angelo Fairgrounds. The association wanted to enhance engagement by providing fast, reliable Wi-Fi access; allowing spectators to share their experiences online and via social media. West Central Wireless deployed Billion’s Managed Wi-Fi Solution enabling seamless coverage across the entire facility. the world. The primary event, the San Angelo Stock Show and Rodeo is one of the largest livestock shows in the nation and a rodeo that consistently ranks in the top 2 in total entries. The Stock Show andRodeoprovides the largest economic impact of any event held in the city of San Angelo. West Central Wireless (WCW) headquartered in San Angelo is a wholly owned subsidiary of Central Texas Telephone Cooperative and has been providing communications services for over 30 years. In addition to providing mobile voice and wireless mobile and fixed data services to 25 counties in Central and West Texas, West Central offers wholesale Internet, technical support, bandwidth, and hosted switching services including voice and LTE data to rural wireless and landline providers. The Stock Show and Rodeo are held at several venues on the fairgrounds and crowds for the event are growing every year. West Central Wireless had to overcome several challenges to ultimately deliver a reliable, high performing solution. The first challenge was providing adequate coverage, making sure the main areas of the venue had a good, strong signal for seamless connectivity. WCW needed a solution with excellent output power and antenna gain to provide sufficient signal strength. Client density presented the next challenge. With such a large number of spectators at this event, it’s challenging to ensure that there will be enough capacity for groups of concurrent clients in a confined area. With all wireless networks, there still needs to be a connection to a wired network at some point to function. WCW needed a device with flexible deployment options for WAN connectivity, such as 4G/LTE cellular or Ethernet for fiber feed connectivity. 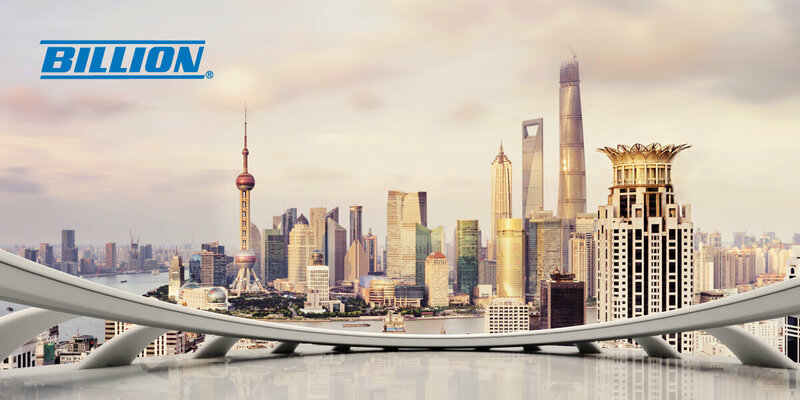 West Central Wireless selected Billion’s Wi-Fi Solution, which consists of Billion’s BiPAC 4700AZ, the Industry’s first Outdoor LTE Router with integrated Wi-Fi Hotspot and the BILLIONcentral® Service Enablement Platform. The BiPAC 4700AZ combines the latest generation of cellular wireless and Wi-Fi technologies; 4G LTE Advanced and 802.11ac Wave 2 along with hotspot/captive portal functionality. The solution resolved both coverage and capacity challenges. Supporting two-channel carrier aggregation on the downlink along with its high-gain directional antenna, the BiPAC 4700AZ provided more than enough WAN bandwidth even at several miles from the nearest tower. Combing high output power and 4x4 MIMO antenna technology, the BiPAC 4700AZ delivered substantial data rates along with outstanding wireless coverage. Although the Stock Show and Rodeo was held in February; the solution will remain in operation throughout the year for use at other events. Beyond the performance aspects of the BiPAC 4700AZ, the sweltering Texas heat can affect the reliability of any network device in the elements. Purpose-built for outdoor deployments and harsh environments, the BiPAC 4700AZ’s 1P-68/UL-50E enclosure will withstand dirt, harmful ingress of water, humidity and extreme temperatures for years of dependable operation. West Central Wireless was able to deliver what The Angelo Stock Show and Rodeo Association wanted for their event, increased engagement, and better experiences. Spectators enjoyed the free Wi-Fi access and were able to stream live video, share the rodeo culture and their experiences online and via social media. Additionally, WCW leveraged the Hotpot/Captive Portal functionality to promote their services via the splash page “Free Wi-Fi service provided by WCW” as well as other advertisements from local business partners.